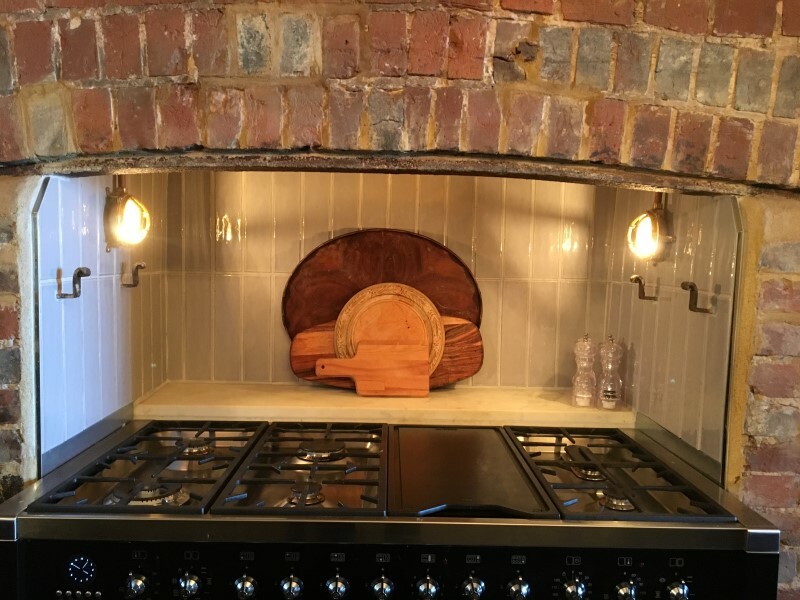 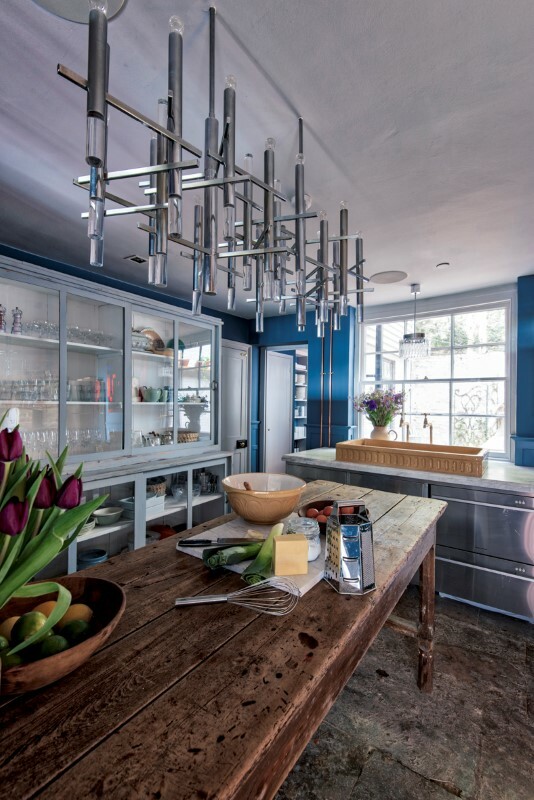 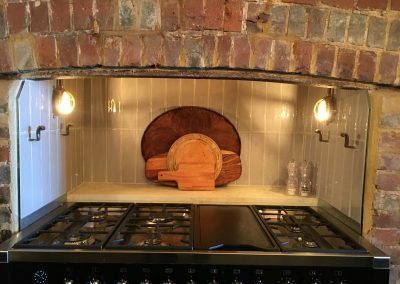 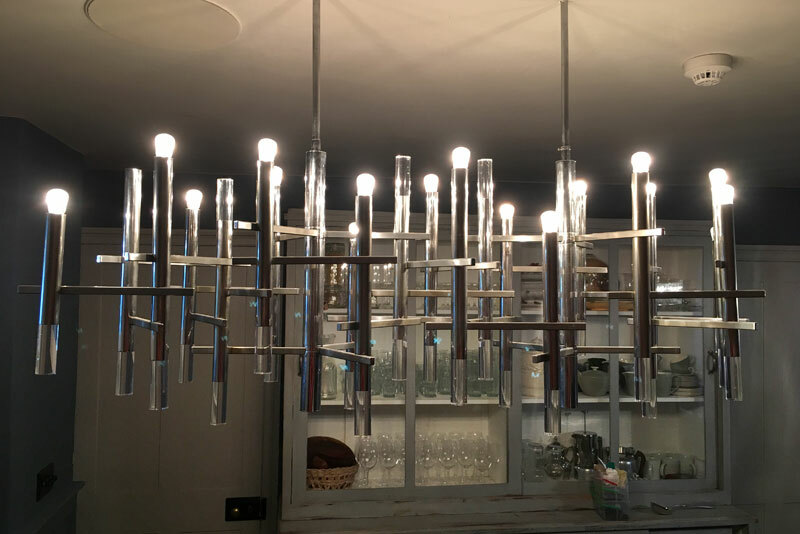 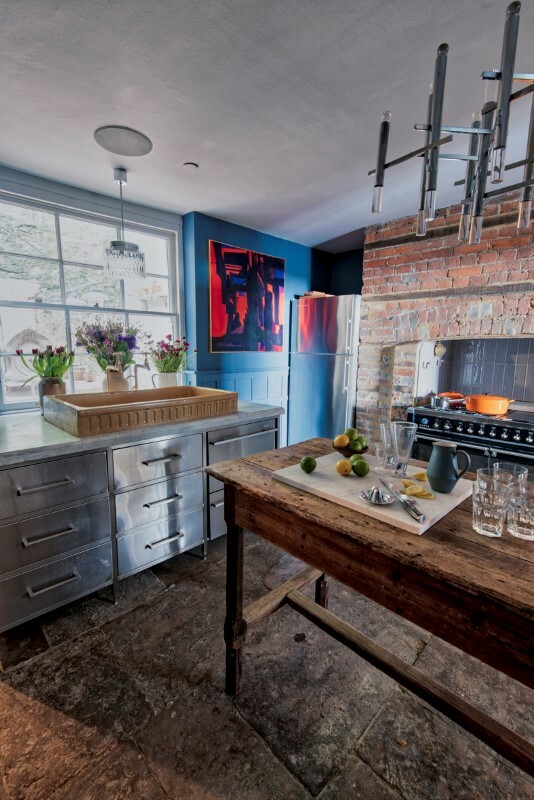 The kitchen centres around a beautiful, 18th-century oak refectory table and is fully equipped with all the utensils and gadgets that any cook could wish for. 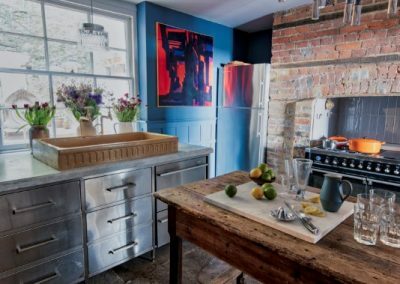 Whip up a meal for any occasion on the 1.2m Smeg range cooker with twin oven, grill, pizza stone, six gas burners and griddle. 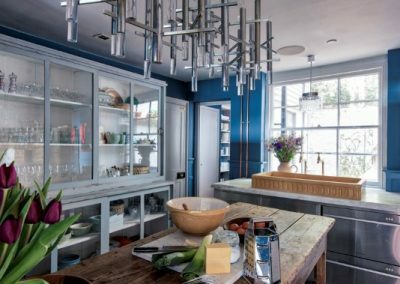 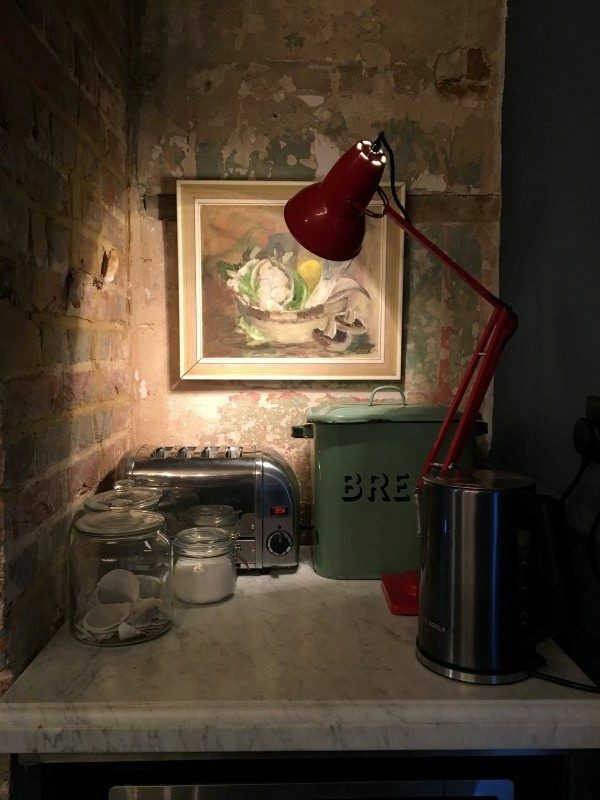 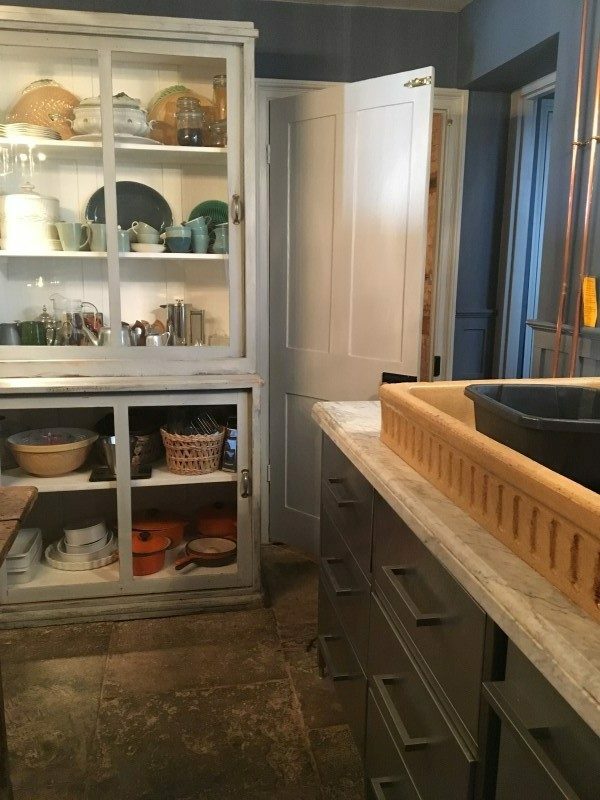 A full range of cooking utensils and cutlery can be found in stainless steel drawers beneath the large, antique butler’s sink set in a Carrara marble worktop. 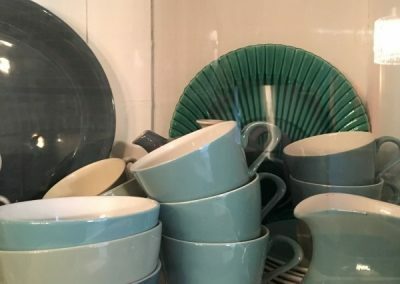 Classic Volcanic Le Creuset cookware, including saucepans and casseroles, is stored in the dresser with a selection of serving dishes and platters. 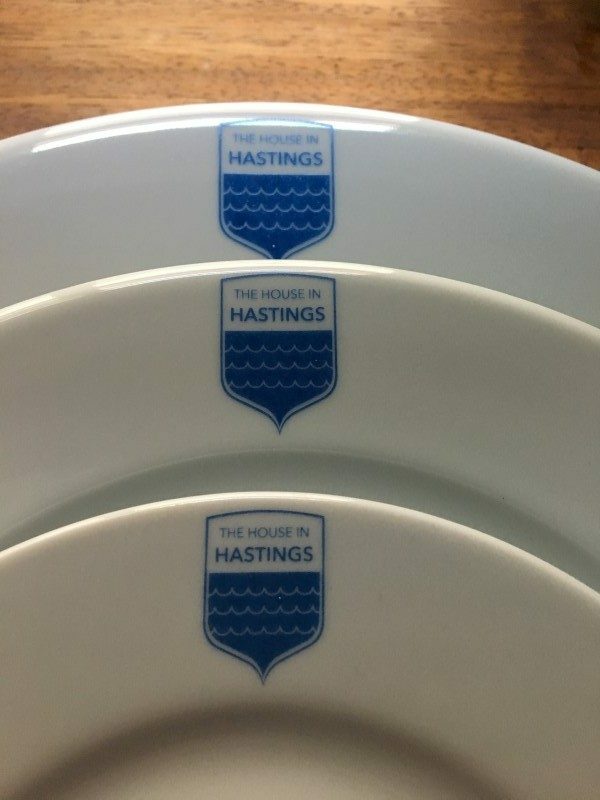 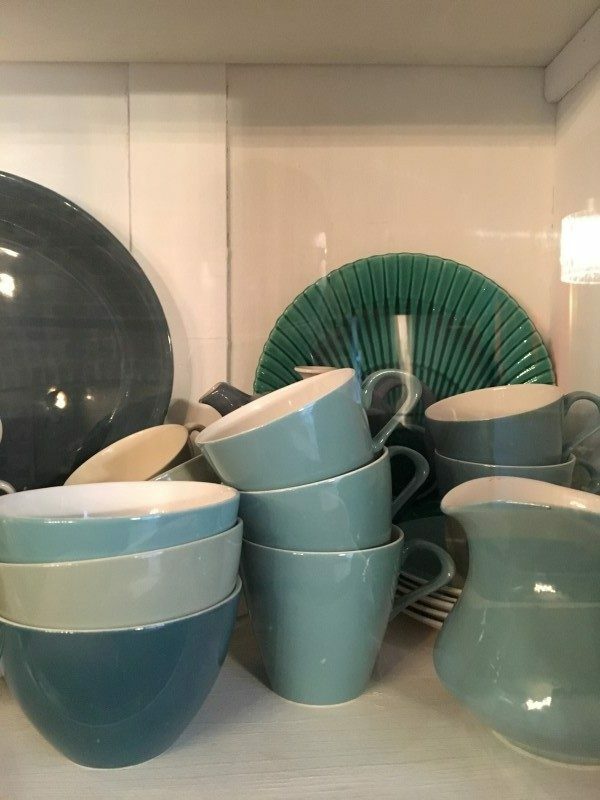 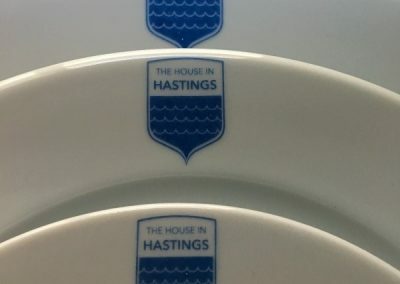 This includes a range of vintage crockery from Poole Pottery and Wedgwood in addition to a full ‘House in Hastings’ monogrammed dinner service). 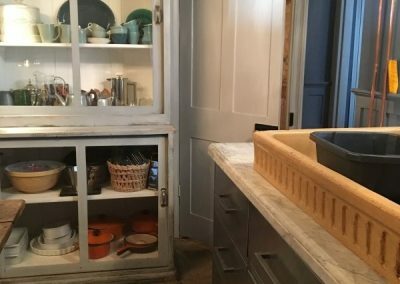 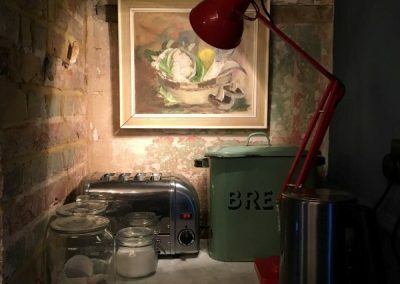 Look to the large antique glass-fronted-dresser to find a Kenwood food processor and blender whilst a Fisher Paykel twin draw dishwasher will make managing dining for a group a doddle. 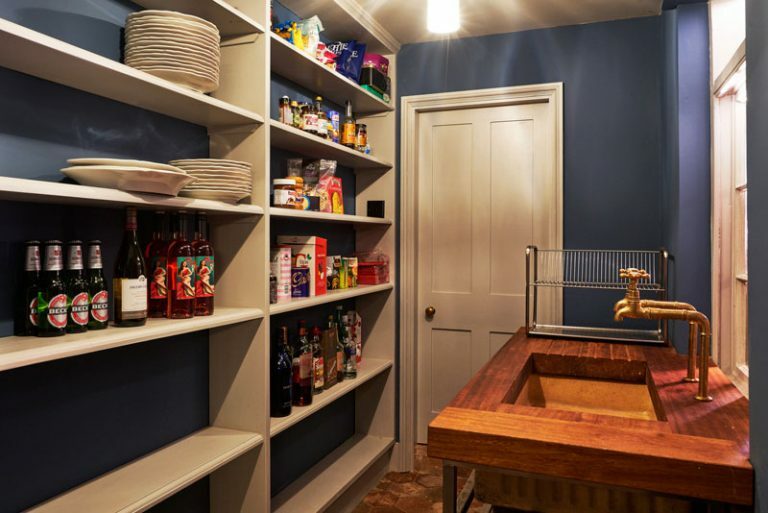 The Scullery leads off from the main kitchen with a prep area, butlers sink and floor-to-ceiling larder storage area.